Have you ever wondered why the Gospel narratives of the ministry of Jesus begin with the episode of John the Baptist baptizing Jesus in the River Jordan, which may seem to be such a trivial incident? Or why Pope John XXIII made the Baptism of Jesus the first Feast of the Ordinary Year of the Church, immediately after the Solemnity of Epiphany, which may also seem to be surprising? Things became clearer to me, when I noticed that the memorial in the Canon of the Mass in the Syro-Malankara rite, calls to mind not just the death and resurrection of Jesus, as in the Latin rite, but even his baptism in the River Jordan. For in the early church then, as reflected especially in the oriental rites now, the Baptism of Jesus was not just one more story in his life, - but it is a mystery, on par with the great mysteries of his Incarnation and our Redemption (i.e. his death and resurrection), - in fact connecting them both in a meaningful salvific whole. As I re-read the Gospel story and mystery of the Baptism of Jesus, I saw in it the capture of a vision and the beginning of a mission, - a turning point, so to say, in the life of Jesus 'as man', for the gospels tell us almost nothing about Jesus before that event. In fact people would later on say in astonishment, "How can he do all this? Where did he get such wisdom and the power to work these miracles? Isn't he the carpenter, the son of Mary?" (Mk 6:2,3). For in the eyes of his countrymen Jesus was like anybody else - there was nothing to distinguish him from the rest of the village. So something did happen to him in the Jordan. It couldn't be that Jesus came there simply to be baptized by John the Baptist, for John was on the contrary preparing the people for Jesus through a 'baptism of repentance'. But Jesus went through this baptism, which he obviously did not need, to publicly identify himself with sinful humanity, becoming one like us by taking upon himself all our weaknesses. It was after this act of emptying himself of his glory that the heavens were opened and the real Baptism took place from above to prepare Jesus for the people. Heaven opened before him and he saw the Spirit coming down upon him and He heard the Father speak to him, "You are my own dear Son, and I am pleased with you" (Mk 1:10,11; Lk 3:21,22). In other words, he had a vision of his messianic task and an experience of special anointing for it. For he was now filled with the Holy Spirit, receiving the wisdom to know what to do and the power to enable him to do it (Lk 4:1). He was now aware that he had received the authority from the Father to preach the Good News of Salvation and the power of the Holy Spirit to heal the sick and deliver the oppressed - and all could see the difference. His very reading of the Scriptures in the synagogue made them gaze at him in amazement. His teaching was strikingly new in content and given with an unusual authority. All the sick were healed by a mere word or touch. Those possessed by Satan were allergic to and afraid of his very presence. Peter found it hard to believe that a man could command the seas and the winds to obey him. He would later reveal the source of such incredible authority and power to Cornelius: "God had anointed Jesus of Nazareth with the power of the Holy Spirit and that is why Jesus went about doing good and healing everyone who was under the power of the devil" (Acts 10:38). But this experience was meant to be an example to and a channel for his apostles and his disciples down the ages. For what happened to Jesus at his Baptism happened in a certain degree to the Apostles at Pentecost. Before that day they were all so slow to understand the teachings of Jesus, so reluctant to pray with him, whether at Tabor or in Gethsemane, so jealous of one another, so ambitious for power and prestige, so suspicious even of Jesus, even ready to use violence to save their own skin, - and that in spite of being with Jesus for three years, listening to his captivating words and witnessing to his marvelous deeds. But just head knowledge or human talent would not change them or their situation. For that they would have to wait, Jesus impressed upon them, to receive power not from below but, as he himself did, from above, a power that was not something but someone, - the Holy Spirit. After nine days of waiting together with Mary in prayer, the promise of the Father was fulfilled on the Day of Pentecost, as the Spirit came upon them, like a mighty wind rushing from heaven and filling the house, and as tongues of fire resting on each one of them, and they were all filled with the Holy Spirit (Acts 2:1-4). And immediately after their Pentecostal experience, they threw open the closed doors of the upper room where they were hiding out of fear and ventured into the streets of Jerusalem praising God unabashedly. That same terror stricken Peter who denied Jesus when confronted by a mere maidservant now dared to proclaim him boldly to the whole of Israel as the only Savior and Lord, with startling results. That same doubting Peter who sank like a rock could now heal the lame man with a faith as strong as a rock in the power of the Spirit within him. No threats or punishment would stop him from speaking about what he had seen in and heard from Jesus, even counting it a joy to suffer for him. And under his leadership the first Christians were one in heart and mind, even pooling all their resources together so that there was no needy person among them (Acts 4:32). What happened to Jesus in the Jordan, what happened to the Apostles in the Upper Room, has been happening to the Church during all these twenty centuries, - but in a very special way during the last four decades through the many and varied renewal movements in the Church, in answer to the prayer of Pope John XXIII on 25th January 1959 for a New Pentecost in the Church in order to usher in a Renewal that would be manifested by Signs and Wonders. The Holy Spirit has indeed been coming down upon God's people, as it did upon Jesus (Lk 3:22) and upon Mary and the Apostles (Acts 2:4), and God is now with them in power (Acts 10:38), and Jesus is working in them with wonders (Mk 16:20). But are we becoming more aware that we too have received the same Spirit (Acts 19:2). Are we letting the Spirit fill and control our life? (Eph 5:18). Let us therefore make our own the third Eucharistic Prayer, "Father, grant that we, who are nourished by the body and blood of your Son, may be filled with his Holy Spirit, and become one body, one spirit in Christ." Alguma vez você já se perguntou por que as narrativas do Evangelho do ministério de Jesus começa com o episódio de João Batista batizando Jesus no Rio Jordão, o que pode parecer um incidente trivial? Ou por que o Papa João XXIII fez o Batismo de Jesus a primeira Festa do Ano Ordinária da Igreja, logo após a solenidade da Epifania, que também pode parecer surpreendente? As coisas se tornaram mais claras para mim, quando notei que o memorial no Cânon da Missa no rito, chamadas de rito Sírio-Malancar veio à mente não apenas a morte e ressurreição de Jesus, como no rito latino, mas mesmo seu batismo no Rio Jordão. Para a igreja primitiva, então, que se reflete especialmente nos ritos orientais agora, o Batismo de Jesus não era apenas mais uma história em sua vida, – mas é um mistério, comparável aos grandes mistérios da sua Encarnação e nossa Redenção (ou seja, sua morte e ressurreição), – na verdade, conectando-os tanto em um todo salvífica significativa. À medida que eu relia a história do Evangelho e do mistério do Batismo de Jesus, vi nele a captura de uma visão e o início de uma missão, – um ponto de viragem, por assim dizer, na vida de Jesus 'como homem', para os evangelhos não nos dizerem quase nada sobre Jesus antes daquele evento. Na verdade, as pessoas, mais tarde, no dizer atônitas: "Como ele pode fazer tudo isso? Onde ele conseguiu tanta sabedoria e poder para trabalhar esses milagres? Não é ele o carpinteiro, o filho de Maria?". (Mc 6: 2, 3) para nos olhos de seus compatriotas Jesus era como qualquer outra pessoa – não havia nada para distingui-lo do resto da aldeia. Então, alguma coisa aconteceu com ele no Jordão. Não podia ser que Jesus veio ali simplesmente para ser batizado por João Batista, para João foi ao contrário era preparar as pessoas para Jesus através de um "batismo de arrependimento". Mas Jesus passou por este batismo, que ele obviamente, não precisava, para identificar-se publicamente com a humanidade pecadora, tornando-se um como nós, tomando sobre si todas as nossas fraquezas. Foi depois desse ato de esvaziar-se de sua glória que os ceus se abriram e o verdadeiro baptismo teve lugar a partir de cima para preparar Jesus para o povo. O ceu abriu diante dele, e viu o Espírito Santo descendo sobre ele e ele ouviu o Pai falar -lhe: "Tu és o meu Filho amado, e congratulo-me com você" (Mc 1: 10, 11. Lc 3: 21, 22). Em outras palavras, ele teve uma visão da sua missão messiânica e uma experiência de. Unção especial para ele para ele agora estava cheio do Espírito Santo, recebendo a sabedoria para saber o que fazer e o poder que lhe permita fazê-lo (Lc 4: 1). Agora ele estava ciente de que ele havia recebido a autoridade de Pai de pregar a Boa Nova da salvação, o poder do Espírito Santo para curar os enfermos e libertar os oprimidos – e todos podiam ver a diferença. 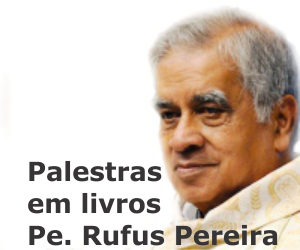 Sua própria leitura das Escrituras na sinagoga fez olhar para ele com espanto. Seu ensinamento foi surpreendentemente novo em conteúdo e dados com uma autoridade incomum. Todos os doentes eram curados por uma simples palavra ou toque. Aqueles possuídos por Satanás eram alérgicas a.. E com medo de sua presença. Pedro achava difícil acreditar que um homem poderia comandar os mares e os ventos a obedecê-lo. Ele viria a revelar a fonte de tal autoridade incrível e poder a Cornélio: "Deus ungiu a Jesus de Nazaré com o o poder do Espírito Santo, e é por isso que Jesus passou fazendo o bem e curando todos os que estavam sob o poder do diabo " (Atos 10:38). Mas esta experiência era para ser um exemplo para e um canal para seus apóstolos e os seus discípulos ao longo dos séculos. Para o que aconteceu com Jesus no seu Batismo aconteceu em um certo grau aos Apóstolos no dia de Pentecostes. Antes desse dia todos eles foram tão lentos para entender os ensinamentos de Jesus, tão relutantes em orar com ele, seja no Tabor ou no Getsêmani, tão ciumentos uns dos outros, tão ambiciosos de poder e prestígio, tão desconfiados, mesmo de Jesus, até mesmo dispostos a usar a violência para salvar sua própria pele, – e que, apesar de estar com Jesus por três anos, ao ouvir suas palavras cativantes e testemunhando a sua maravilhas. Mas apenas a cabeça conhecimento ou talento humano não iria mudá-los ou a sua situação. Por que eles teriam de esperar, Jesus imprimisse sobre eles, para receber o poder não de baixo, mas, como ele mesmo fez, a partir de cima, um poder que não era algo, mas alguém, – do Espírito Santo Depois de nove dias de espera, juntamente com Maria em oração, a promessa do Pai foi cumprida no dia de Pentecostes, quando o Espírito veio sobre eles, como um vento impetuoso do ceu e enchendo a casa e, como línguas de fogo que descansam em cada um deles, e todos foram cheios do Espírito Santo (Atos 2: 1-4). E imediatamente após a sua experiência pentecostal, eles abriu as portas fechadas do cenáculo onde estavam escondidos por medo e aventurou nas ruas de Jerusalém, louvando a Deus descaradamente. Nesse mesmo terror atingidas Pedro, que negou Jesus quando confrontado por uma simples serva agora atreveu a anunciá-lo com coragem a toda a Israel como o único Salvador e Senhor, com resultados surpreendentes. Nesse mesmo duvidando Pedro, que afundou como uma pedra agora podia curar o coxo com uma fé tão forte como uma rocha no poder do Espírito Santo dentro dele. Não há ameaças ou castigo iria impedi-lo de falar sobre o que tinha visto e ouvido de Jesus, mesmo contando-lhe uma alegria de sofrer por ele. E, sob sua liderança os primeiros cristãos eram um só coração e mente, mesmo reunindo todos seus recursos em conjunto para que não havia entre eles necessitado algum (Atos 04:32). O que aconteceu com Jesus no Jordão, o que aconteceu com os Apóstolos no Cenáculo, tem estado a acontecer à Igreja durante todos estes vinte séculos, – mas de uma maneira muito especial durante as últimas quatro décadas através dos muitos e variados movimentos de renovação no a Igreja, em resposta à oração do Papa João XXIII em 25 de janeiro de 1959, um novo Pentecostes na Igreja, a fim de inaugurar uma renovação que seria manifestada por sinais e maravilhas. O Espírito Santo tem, efetivamente, vindo a descer o povo de Deus, como fez sobre Jesus (Lc 3:22) e sobre Maria e os apóstolos (Atos 2: 4), e Deus agora é com eles no poder (Atos 10:38), e Jesus está trabalhando neles com maravilhas (Mc 16:20) Mas será que estamos cada vez mais conscientes de que também nós recebemos o mesmo Espírito (Atos 19:2)? Será que estamos deixando que o Espírito preencha e controle a nossa vida (Ef 5:18)? Vamos, portanto, fazer a nossa própria a terceira Oração Eucarística: "Pai, concede que nós, que nos alimentamos do corpo e sangue de seu Filho, possamos ser cheios do seu Espírito Santo, e tornar-se um só corpo e um só espírito em Cristo."